Ampco’s K Series line brings the same durability as the Z Series but in a smaller size. 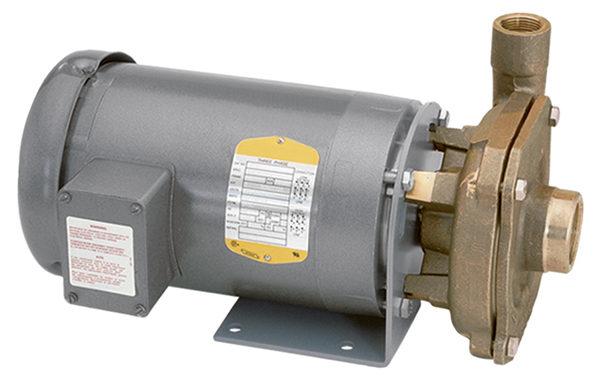 K Series high efficiency pumps have NPT threaded connections and are close-coupled to NEMA 56J frame motors. Available alloys include 316 stainless steel and nickel aluminum bronze. Used heavily by the United States military in desalination systems, K Series pumps are installed worldwide. 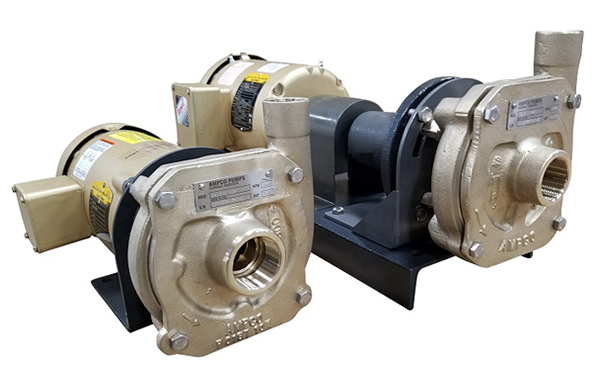 All K Series pumps have ABS (American Bureau of Shipping) type approval and are available for delivery in 1 week or less. 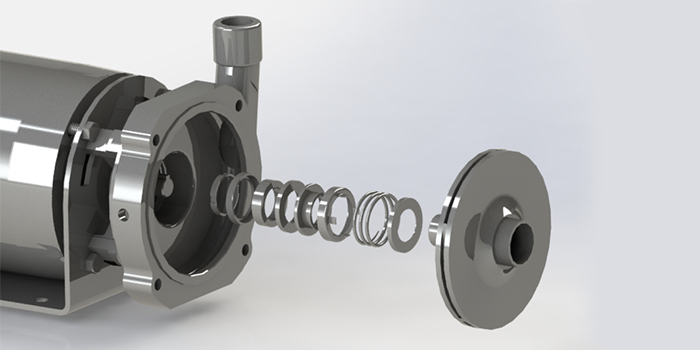 Features of the K Series include pressure capabilities as high as 150 PSI/ 10 BAR, temperatures ratings as high as 225°F/ 105°C, have multiple seal options, and replaceable wear rings. Duplex 2205 is available providing greater resistance in more challenging media applications such as diatomaceous earth and ethanol processing. Contact Ampco’s application engineering team today for more information. The most common application for the K Series is reverse osmosis, yet this pump can be used in any number of corrosive and seawater applications including effluent wastewater and desalination processes. 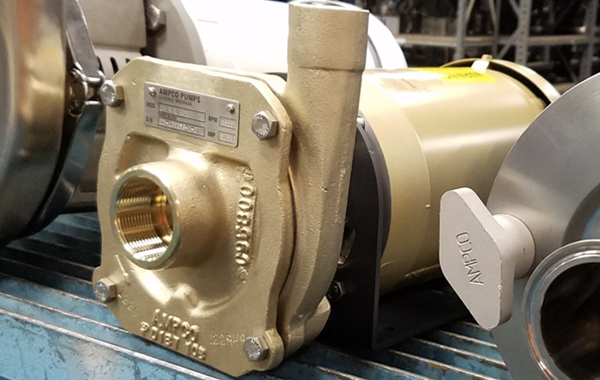 Ampco has been supplying the United States military and Department of Defense contractors with durable and reliable pump technology since the 1940’s. In fact, the Ampco KC2 pump is used to boost pressure on a 1500 ROWPU reverse osmosis system built by Highland Engineering, Inc. These systems using Ampco pumps stand up to brutal conditions around the world. Need quick delivery? Ampco’s standard delivery timing is unmatched – only 1 week. Call today! 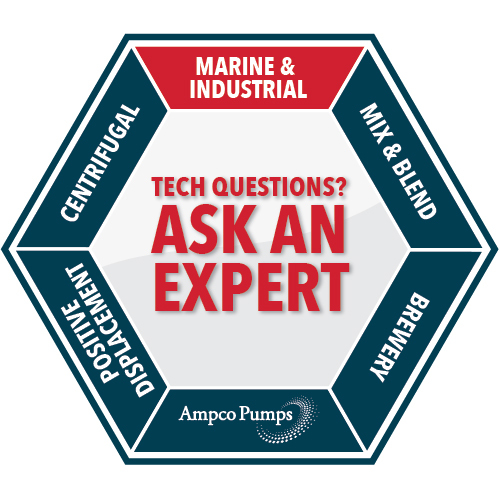 ASK AN EXPERT Ampco Pumps Your Resource for the Pump You Need, Today. Have a question? We have experts who can answer.